SJI’s Young Friends Society is pleased to announce SJI’s annual Bourbon fundraiser on Wednesday 10/17/18 from 7-9pm. Hosted again at Naked Vine, Bryan and his crew will offer four pours (and a little education) of bourbon, scotch, Irish whiskey and rye. The Young Friends Society consists of supporters aged 35 and under who are dedicated to the SJI mission. Membership includes special rates to select SJI events and exclusive networking events. Membership registration will be available at the event or you can register right here. Over 35 yrs of age but wanna join us anyway? No problem – bring a young friend with you and help introduce them to our mission. This year, SJI’s Young Friends have accepted the challenge to fund the Audiology Clinic. SJI is in need of a new Audiometer, a Verifit and other items to help young children fully access sound. 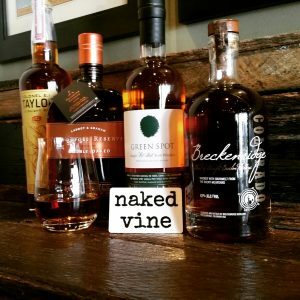 There is no charge of this event thanks to Naked Vine’s generous underwriting but you must register below.